Faking Good Breeding: Do You Trust Your Makeup? Do You Trust Your Makeup? The New York Times reported yesterday that California has recently decided to require cosmetic companies to report to health authorities if their products contain any chemicals that could possibly cause cancer or harm the reproductive system. Until now, there has been little government regulation of ingredients in cosmetics, and the industry is largely self-regulating. Unless a product contains an ingredient that has been proven to have an effect on the structure or function of skin or hair (in which case it would be prescription-only), the FDA stays out of it. Environmentalists argue that there hasn't been enough study into cosmetic chemicals' long-term effects, but scientists are split on whether these ingredients are present in large enough qualities to actually affect the body. As consumers become more concerned about the chemicals they're putting in and on their bodies (think of the organic foods and household products movements), the cosmetics industry has responded with new brands and lines that are certified organic. So far, this trend has been limited to smaller, boutique brands, and it'll be interesting to see if the major companies respond by changing their formulas. Call me naive, but I personally don't feel any safer knowing that the government (at least in California) has greater control over cosmetics products. 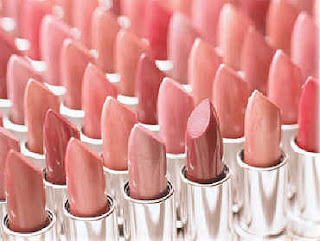 The industry giants (Proctor and Gamble, L'Oreal, Estee Lauder, Johnson and Johnson and Revlon) control a very large portion of the $50 billion American cosmetics industry and have far too much at stake to take a chance on a potentially harmful ingredient. These companies pay multi-millions each year in research and development and their reputations are based on the safety and effectiveness of their products. And when every other week there's a new ingredient or food that "may" cause cancer or some other terrible disease, it's hard to believe what's a real danger and what's just a good story. I think the most positive side effect of this law will be an increase in consumer awareness about specific ingredients that they may not want to expose themselves to, particularly those who have young children or are trying to get pregnant. If you are concerned about chemicals in your products or want to learn more about organic beauty products, you should check out The Organic Beauty Expert, it's a great resource on chemical-free cosmetics. But I'm really curious what you all think... do you already buy organic and avoid products with potentially dangerous ingredients? Do you think using regular products puts you at a greater risk for health problems? Or is this all just a political argument between different groups pushing their own agendas? Leave a comment and let me know what you think! I have to agree with you, I don't really think there's a threat of getting cancer from a tiny amount of potentially carcinogenic ingredient in my makeup. Still, I do try to buy organic when I find a product I like, and if I ever had kids I'd probably make a more conscientious effort to expose them to chemicals. I have absolutely no concern about long-term health problems from the use of cosmetics. I'm a Ph.D. student in oncology, and the kinds of chemicals to which I am exposed daily are significantly more carcinogenic than anything which could be found in my mascara (isn't it ironic that to try and cure cancer, I have to spend all day subjecting myself to carcinogenic substances)? But really, even most things that the media spins out of control as "cancer causing" require such a high dosage that there is no likelihood that a human will get cancer as a result. For example, the whole aspartame-causes-cancer-in-lab-mice scare -- they were giving the mice the equivalent of a human consuming a half-pound of aspartame every day. I think you would die of a caffeine overdose before you could get that much aspartame per day from Diet Coke. Full disclosure: I work for the Campaign for Safe Cosmetics, leading grassroots efforts to educate women and men about the de-regulated nature of the cosmetics industry. Our Campaign's goal is to protect the health of consumers and urge the industry to eliminate hazards chemicals linked to cancer, birth defects and reproductive harm and replace them with safer alternatives. Our Campaign agrees that it's unlikely that one product can cause cancer or other health effects. Every day, we use as many as 25 products, from shampoo to toothpaste, mascara to foundation. What concerns us is small, low-dose exposures adding up. Imagine the impact of these daily products multiplied by days in the year and over our lifetime and that's a lot… *Those* are the studies that we don't have. About buying organic--sure, that's one way to "protect" you but it's not totally the answer. I tell women to be religious about reading ingredient labeld. Our brochure called "Unmasked: 12 Ugly Truths Behind the Myth of Cosmetic Safety" highlights 8 problematic chemicals to avoid. It's downloadable from our Web site, www.safecosmetics.org. Also click on the Skin Deep graphic, an online safety guide that provides rankings of products produced by our partners at Environmental Working Group. It's also not enough to "shop" our way out of this very big problem. The fact of the matter is that the industry thinks it doesn't need laws and can voluntarily regulate itself. Major loopholes in our federal law also prevent the FDA or any other government agency from approving the safety of cosmetics *before they are sold*. This fight is all about our Campaign educating consumers so they can push the government to better regulate cosmetics. Nothing speaks more than dollars, really. At the end of the day, armed with the information we provide, it's up to you whether or not you want to overhaul your makeup bag or replace an item a little at a time. I apologize to you and your readers for the length of this post, but this is a complicated and detailed issue. I am passionate about this work because it is completely personal: I was diagnosed with cancer at 26 and in the process of getting better wanted to get "clean"--eating organic, getting more exercise, and without any knowledge of the Campaign, wonder if my excessive use of products didn't contribute in some way to my getting cancer. If anyone out there has specific questions, wants to know what I’m using or would like to have conversations outside of this blog, I am happy to do that. Email me at genevieve@breastcancerfund.org. Megan, thank you for your post. Though there are certainly going to be opposing views, the fact of the matter is that women are talking and questioning, which is always powerful. Thanks for the info, I really appreciate it. I recall reading a bit more about this at Girl.com.au... but then again, I could be wrong. But the site’s filled with lots of stuff, great content and weekly comps! I pretty much agree with Genevieve. I'm not concerned with the idea of "chemicals" as such (and the idea of chemical-free amuses me, since EVERYTHING on the planet is a chemical substance) but I am concerned with the testing standards that allow hundreds of newly created chemicals on the market. We don't really know how these chemicals interact together over time (think of how many hundreds of man-made chemicals you are exposed to on a daily basis), and I worry about the fact that many of them persist in our bodies and in our environment. Personally, I don't use commercial perfumes because of the phtalates and the synthetic musk content, and prefer to use mineral make-up because it contains fewer man-made chemicals overall. I use hand-made soap to reduce my consumption of plastic and man-made chemicals. I'm wary. Of course, each tube of product has only a limited, small quantity of any potentially harmful chemical. However, over time it all adds up. These chemicals will then also be added to the other potentially harmful ones in your food, water, air etc. A lot of these chemicals don't even get flushed out of your system readily, and some are potent at minute levels. Why take a chance when there are safer alternatives in some cases? I used to gloss over stuff like this, but when at 26 I found myself developing a very bad allergy to perfumes (which I found contained a lot of strange chemicals some of which bear the warning "avoid contact with skin") I have been forced to think differently. natural products close to the original state, and, whenever possible, organic certified.